Church membership is not about signing a contract or joining a club. It is one thing to attend church, it is quite another thing to become a participating member of a local church. While the term ‘church member’ never occurs in the Bible, it is clear that Christians were committed to each other in local communities. Christians met together for teaching, caring, sharing communion, mission and prayer. When Paul wrote letters it is clear there are local congregations of believers committed to each other because they are committed to God, and they met regularly together. The New Testament does not describe a local church full of attendees only, but rather describes a church of participating members using their gifts, talents and abilities for the glory of God. The moment we trust Jesus Christ as our Lord and Saviour, we become members of the world-wide body of Christ, which is the church. To grow as a disciple of Jesus, believers should identify with a specific local church and actively participate in Christian ministry. First and foremost you need to be a Christian. Members must be in agreement with Harefield’s Statements of Faith and want to own the vision and values of the church. Serve our community – We seek to reach our community so that we can share the message of Jesus with as many as possible. 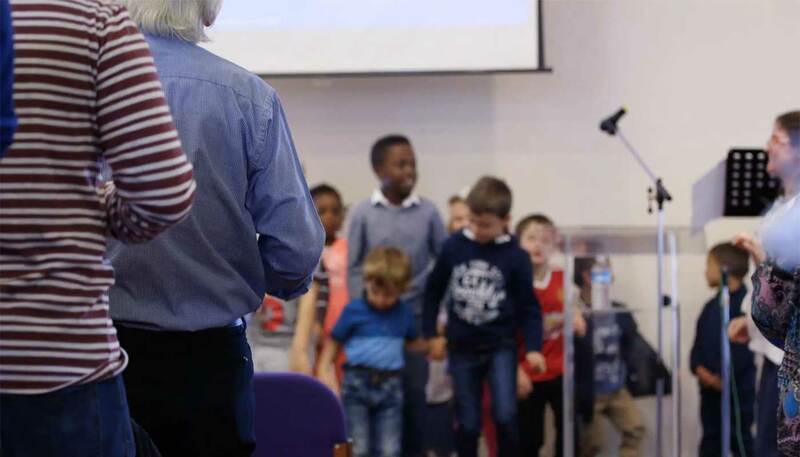 If you are enthusiastic about the vision of Harefield Church, believe the things we teach and wish to get involved we want you onboard! If you would like to become a participating member, ask one of the Leadership Team and they can tell you more. Learning to imagine more as a church.